My hair is extremely thankful for iFabbo for introducing me to the Monat Global Rejuveniqe™ Oil Intensive hair product that I have been using the past couple of weeks. This incredibly sleek packaged hair oil has hydrated and kept my hair looking shiny and feeling fabulous. My hair is already naturally "oily" so naturally I wouldn't be inclined to use a hair oil. However, there are hydrating benefits to using Rejuvenique, whose key ingredient is Abyssinian Oil, esp. during the winter when my ends get a bit drier than usual. My scalp also reaps the benefits, as it helps control sebum production (aka more oilies). Bonus? You can also use this on your cuticles, elbows or any other dry patches on your body!! 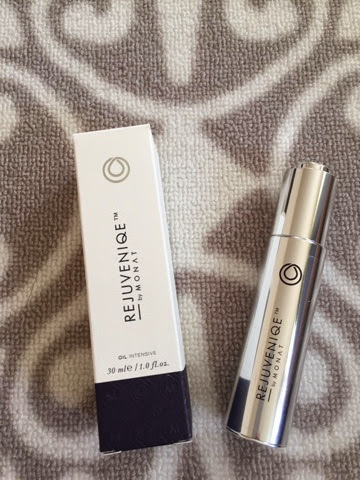 This is definitely my go-to product for this winter and you can too! Check out www.monatglobal.com to learn more!